This case study in the Olifants River region was completed in the 2016 season and shows what can be done in terms of effective water usage on farm level. 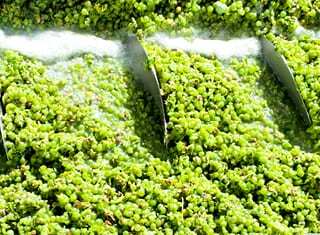 With regard to wine grapes it is well known that there is no linear comparison between the amount of irrigation water and production. In view of electricity price increases that consistently beat inflation, combined with the current water crisis in the Western Cape, measuring of soil water content and record keeping of irrigation are no longer optional practices, but critical management actions. 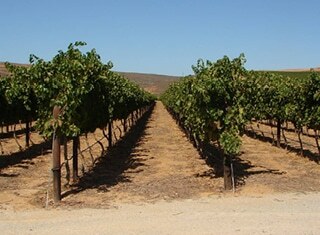 Two blocks of Chenin blanc (SN220 on Ramsey) were planted in the 2011 production year and water consumption was monitored for the 2016 season. The blocks are adjacent to each other in the Spruitdrift ward (Figure 1) and were planted at the same time. 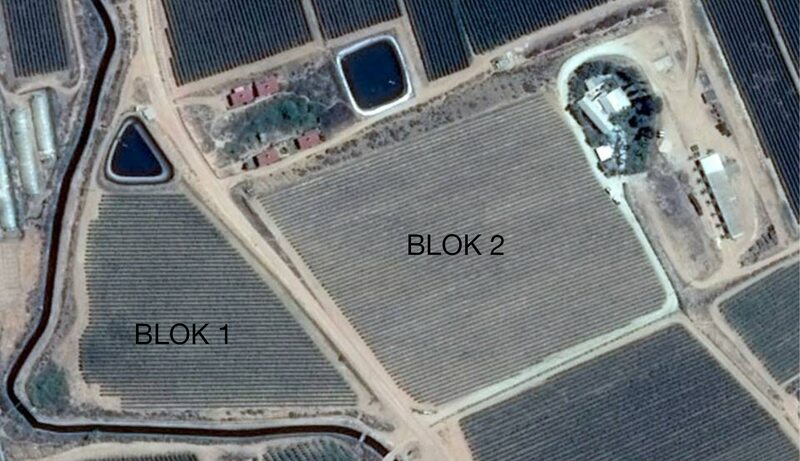 Both blocks have a plant width of 2.5 m x 1.5 m and are irrigated by drippers spaced 0.6 m apart that deliver 2.3 ℓ/hour. The soil in both blocks can be described as well-drained yellowish brown sand to sandy loam soil and at the time of preparation, both blocks underwent cross ripping. Block 1 measures 1.4 ha and block 2 measures 2.7 ha. The row direction in the two blocks differs. In Block 1 the row direction is east/west and in block 2 it is northeast/southwest. A capacitance meter to monitor soil water was installed in block 2. The replenishment level was ascertained using pressure bomb readings and set at a trunk water potential of -1.0 MPa more or less. Block 2 was irrigated using the capacitance meter (Figure 2) and block 1 was irrigated the “normal” way. 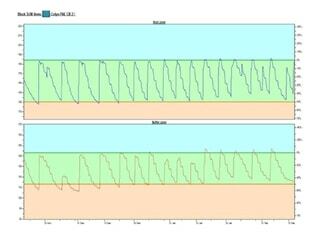 The irrigation system on the farm in question is fully computerised and delivery is expressed using flow metres in units of cubic metre (m3) – 10 m3 = 1 mm. 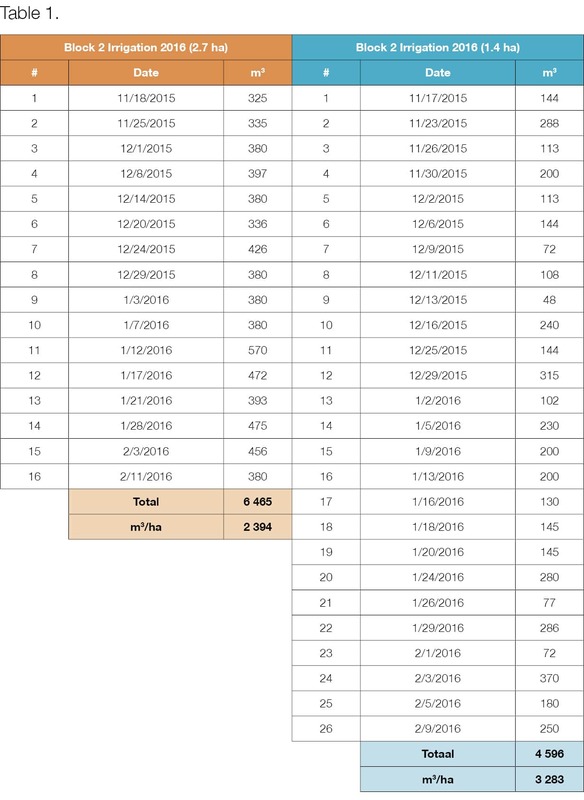 Table 1 shows the number of irrigation sessions, as well as the amount of water per application, over the period from mid-November 2015 to mid-February 2016 when block 2 was harvested. Block 2 received 89 mm less water per hectare than block 1 over the same period. 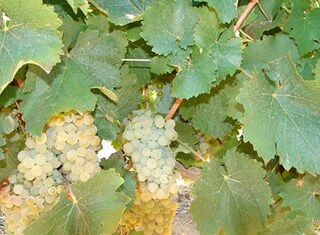 Block 2 was harvested at 22.8°B on 11 February. 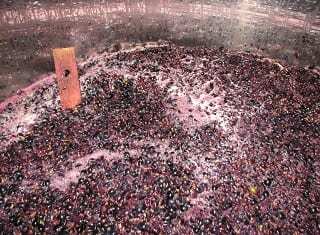 Block 1 reached the same sugar level (Figure 3) 11 days later on 22 February. Production for 2016 in block 1 amounted to 23 tons/ha at a high sugar of 24°B. 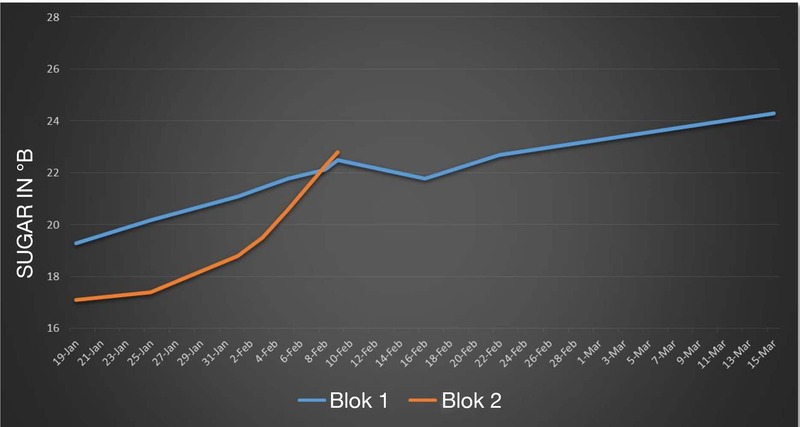 Block 2 produced 26 tons/ha at 22.8°B and received less water during the measured period from mid-November to mid-February. 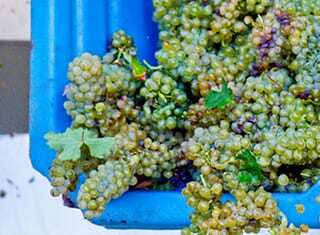 Given the fact that a slight weight loss occurs when grapes reach high sugars, one can reach the conclusion that there would not have been a big difference in production between the two blocks if they had been harvested at the same sugar. Photos 4 and 5 were taken in block 2 on 29 February to illustrate the fine condition of the canopy and the grapes. In intensive irrigation areas there is much room for improvement with regard to the effective use of water. Aids such as capacitance meters, pressure bombs and soil augers are extremely valuable and should be used in conjunction with the producer’s good judgment to bring about water savings. Another very important tip is for producers to be aware of the root depth in any particular block before making adjustments to irrigation times. In this case there was a water savings of 27% over the measured period without a reduction in production and without putting any water deficit stress on the grapevine. Dirk de Bruyn (Namaqua Wines) – graphs, pressure bomb readings, photos and tables. Abé Colyn (producer) – irrigation information.